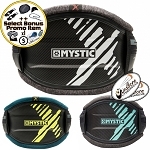 New, 2018-2019 Mystic Majestic HardShell Glass Fiber Kite Waist Harness - Unmatched Performance, Support, Comfort, & Reliability in a Hard Flex Shell Harness from Mystic Kiteboarding. Available in Harness Only (no spreader bar), or with Clicker 4.0 Spreader Bar Hook, or with Clicker 4.0 Surf Sliding Spreader Bar, or with Both Hook and Sliding Surf Spreader Bars. + WBK Discount Coupons & Swag Decals, Key Chain, Koozie, etc. 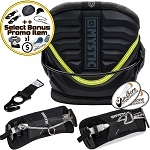 Mystic Kiteboarding has revolutionized the Hard Shell Kite Harness Market with the 2018/19 Mystic Majestic Hard Shell Kite Harness. 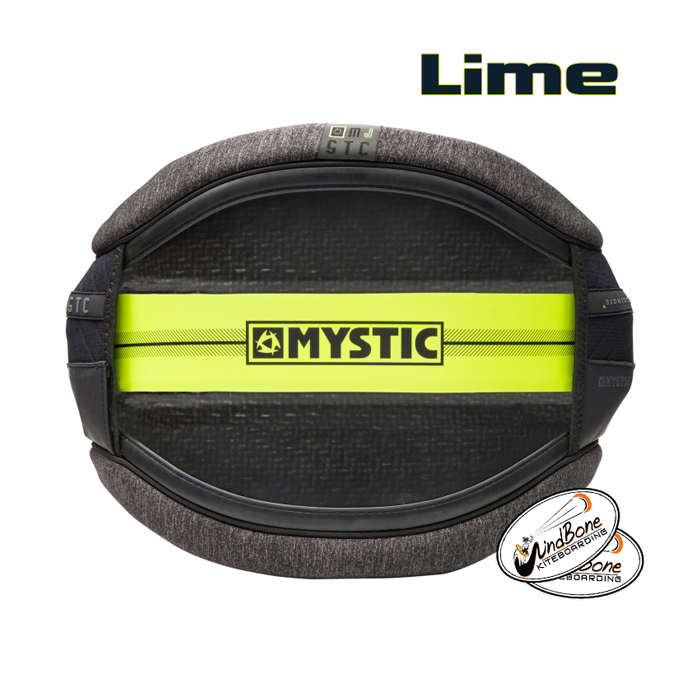 Mystic Majestic HardShell Harness - Unequaled Flex Hard Shell Glass Fiber Construction - In utilizing cutting edge technologies, materials, and construction, Mystic was able to create one of the most advanced harnesses in kiteboarding history. 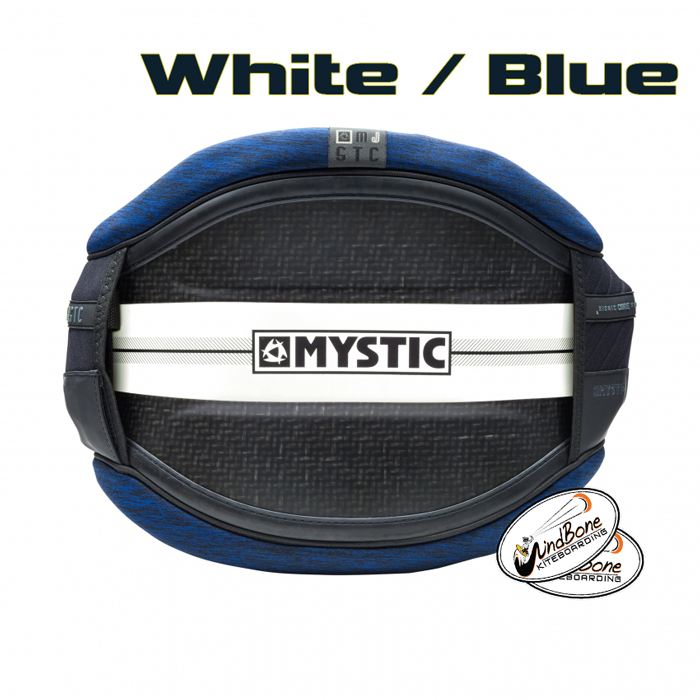 The 2018/2019 Mystic Majestic Hard Shell Kite Waist Harness is designed with specific body mapping to create a stiff horizontal support with the orientation of roving glass fibers to allow the wings to flex diagonally. 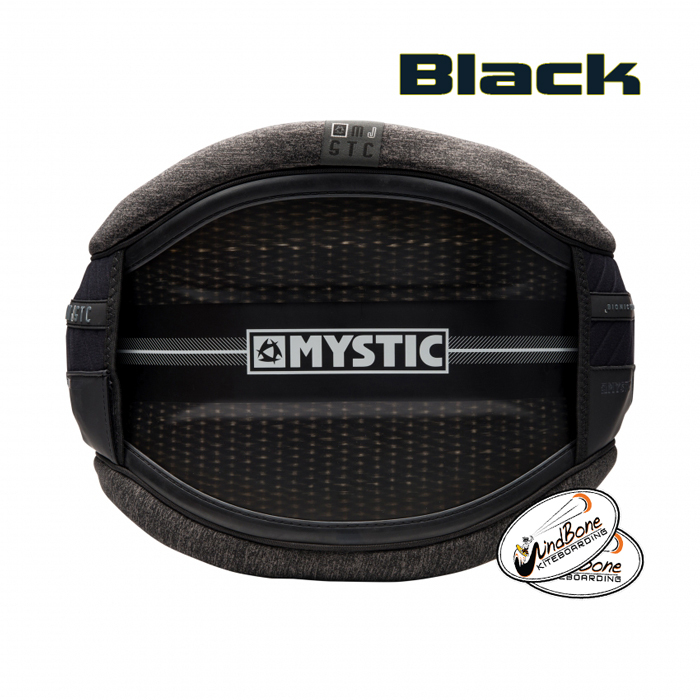 The Majestic gives the optimal amount of support and is still able to twist and follow your body. Bionic Core Frame : The Majestic BCF is designed with a specific body mapping to create a stiff horizontal support. The roving glass fibers are constructed in multiple layers, specific fiber orientation allows the wings to flex diagonally. While the compression and impact resistance are higher, the weight stiffness ratio is slightly lower compared to carbon fibers. 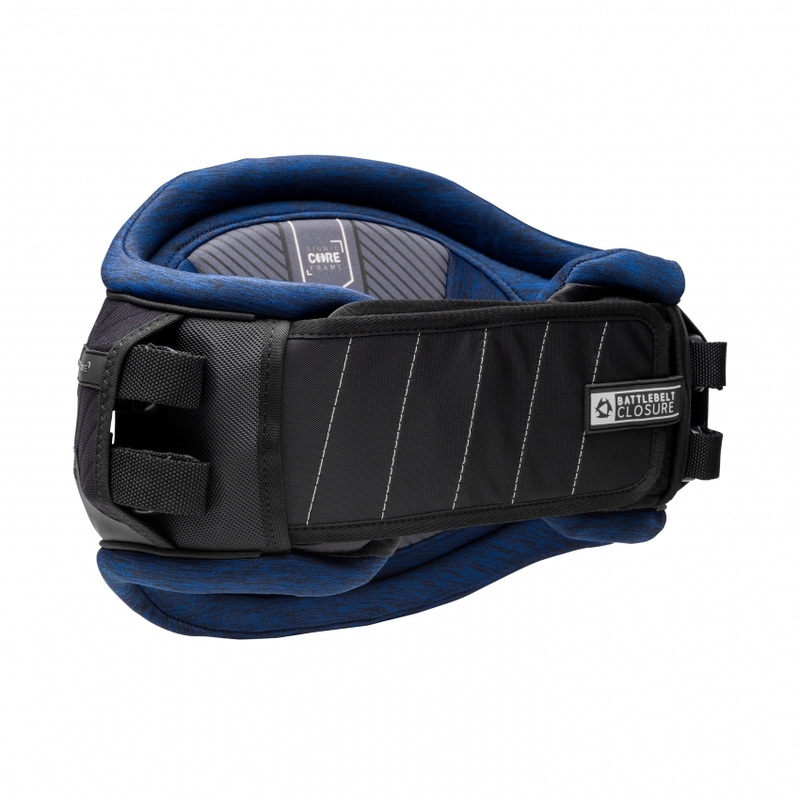 IV Foam : Intelligent Viscoelastic foam really sets to your body shape, maximizes the comfort and helps the harness stay put. 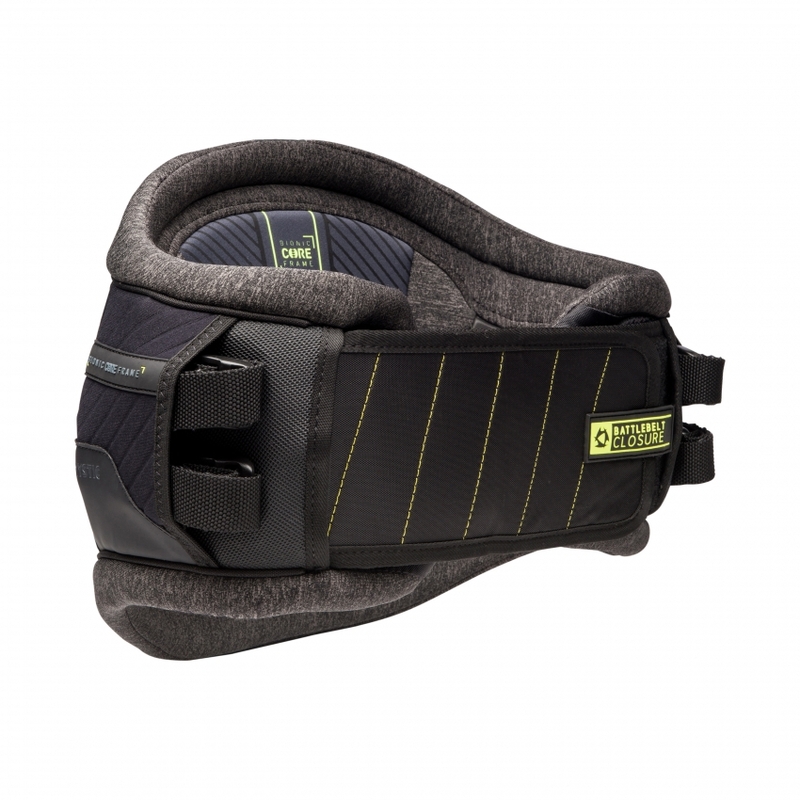 3D-Molded Foam Interior and Exterior : The thermoformed EVA foam wraps around your waist and increases the grip on your waist. 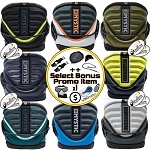 Battle Belt Waist Closure : Makes sure the harness doesn’t move around while riding and stops any unwanted discomfort. 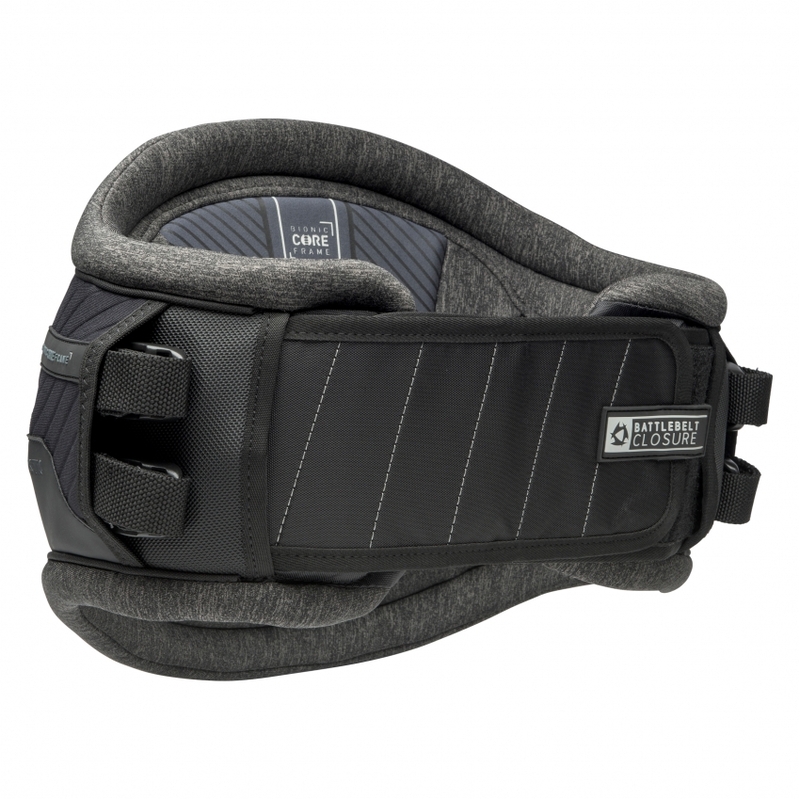 Soft Neoprene Edges : Soft neoprene prevents discomfort while riding on bare skin against the edges of the harness, and also creates a closer more comfortable fit. Leash Eye : (Spreader Bar Options Only) Attach your leash on the front, makes it easier to pull the quick release when needed and allows you to use a short leash. 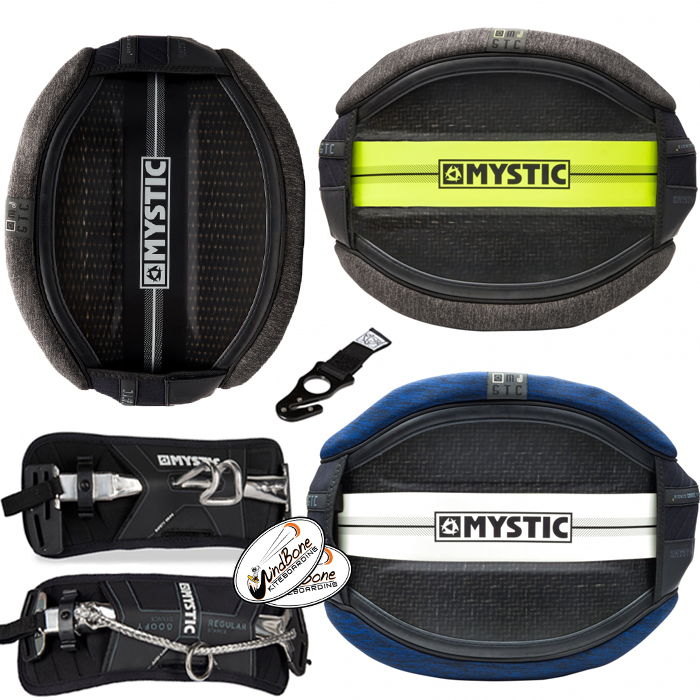 Since 2002 Mystic has been dedicated in the pursuit of creating exceptional products for kiteboarding. WindBone Kite Surf Paddle & Hobby is an actual Kite, Kiteboarding, SUP, & Hobby Shop based in NJ. 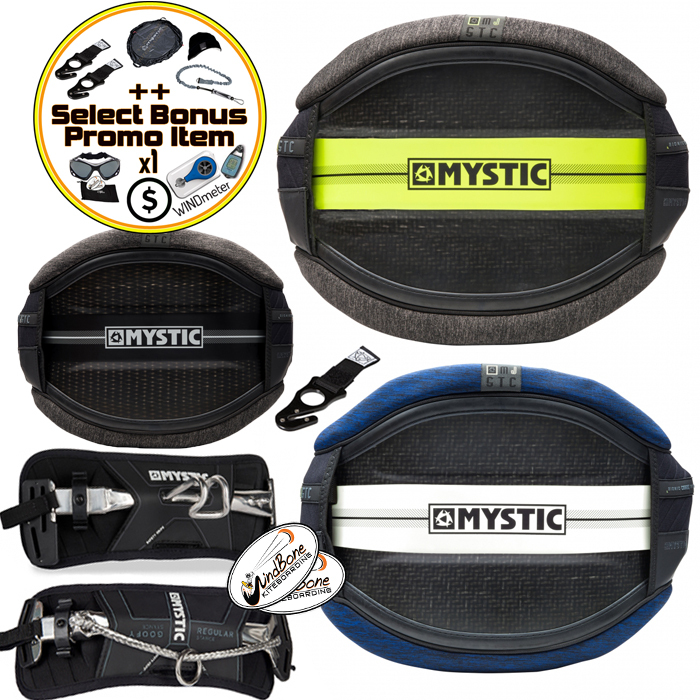 We physically stock Mystic Kiteboarding Harnesses, Gear, Tops, & Accessories and are an Authorized Mystic Dealer Shop. 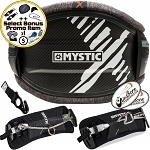 This means that you are guaranteed to receive your item in OEM factory authorized authentic condition with full factory warranty support where applicable, always worry free, plus you are purchasing from a real shop with actual expertise on the Mystic Lineup and ready to help with any questions or support. 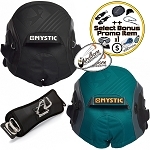 Authorized Mystic Kiteboarding Dealer Shop - Extensive Item Model & Size Selections Available from Mystic and other top brands. If items not listed or out of stock, Contact Us for availability or special order options. No Games with the WindBone, Just the Best Pricing & Service You'll Find.. (Package Discounts / Deals Always Available -let us know what gear you need and we'll put together a package that can't be beat.. 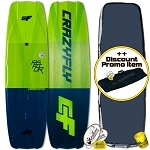 Specializing in Mystic Kiteboarding Gear and other top brands - Contact Us for Latest Stock Options and Deals. Please Contact Us with any questions and for all your Mystic Kiteboarding Gear Needs (many other sizes, models, items, and accessories available from Mystic and many other top brands), and/or any Kitesurfing, Kiteboarding, Power Kiting, Surf, SUP, Skate, and general Watersport Gear needs -if you don't see it just ask.. (used & closeout gear currently available, Latest Gear In Stock).. Local Demos also available in the NJ/NY/PA-Metro area. Authorized Mystic Kiteboarding Dealer Shop. Kite Coupon Code/Credit good towards the future purchase of any new in-stock regular priced kitesurfing kite 7 Meter or larger.. or Board / Gear Coupon good for any new reg price in-stock kitesurfing board or gear item offered in store (offer good for: single use/purchase, non-sale items only, in-stock items available in store, coupon/codes expire 60-days from issue date, cannot be combined with other offers, offer subject to stock availability, offer may end at any time..) Contact Us for details, questions, and/or stock availability -"if you don't see it just ask.."
**We have a large selection of latest Demo Gear from F-One, Crazyfly, Ocean Rodeo, Litewave, Peter Lynn, HQ, Boardworks, and more - Contact Us for latest demo gear availability and special requests..
your Mystic Kiteboarding Gear Specialists. 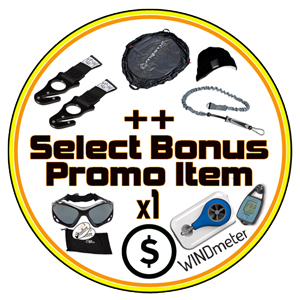 WindBone Kite Surf Paddle & Hobby is an Authorized Mystic Kiteboarding Dealer Shop.